Boasting hundreds of beautiful islands, Greece is among the most popular summer holiday destinations in the world. Every Greek island is blessed with unique characteristics and amazing natural scenery with crystal waters, verdant valleys and impressive hillsides. Here are our suggestions for must see islands in Greece. The most romantic destination in the Cyclades, the crescent-shaped island of Santorini is surely the top must see island in Greece. People from all around the world visit Santorini to see its legendary water-filled caldera and the traditional villages, such as Oia, Fira and Imerovigli, perched on the hill with magnificent views. Santorini is also popular for the charming atmosphere and the stunning sunset, creating ideal conditions for a romantic getaway or a dreamy wedding. Ferries to Santorini depart daily in summer from the ports of Piraeus and Rafina in Athens, and from many Cycladic islands. 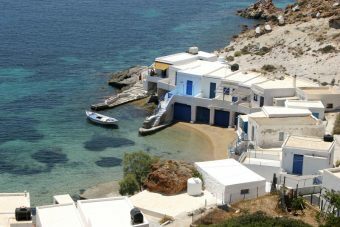 Mykonos is the second best of the must see islands in Greece. 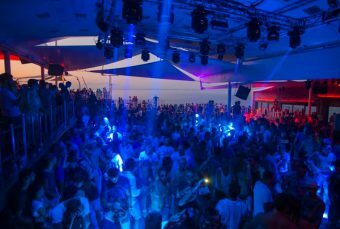 Located in the centre of the Cycladic complex, it is renowned for its stunning beaches and the crazy party scene. With cosmopolitan atmosphere and exciting nightlife, this is the number one destination for young people. 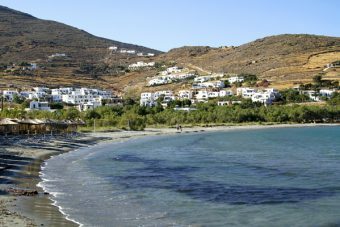 Among Mykonos best beaches are Paradise, Super Paradise and Elia beach. Mykonos Town is the most famous village, distinguishing for the traditional Cycladic architecture with lovely whitewashed houses and paved little streets, ideal for a romantic and peaceful walk. In Mykonos, you will enjoy a magical sunset and gracious hospitality. 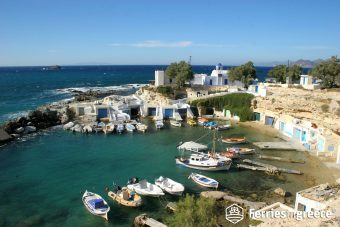 There are ferries to Mykonos from Piraeus and Rafina ports in Athens with frequent schedules in summer. 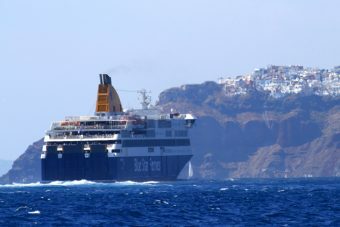 Mykonos is connecter by ferry to other magnificent Cyclades as well. Situated on the north western part of Greece, Corfu is a spectacular island that belongs to the Ionian complex. Combining history with modern infrastructure and amazing natural surroundings, Corfu is a must-see destination and has a lot to offer to every type of traveler. The crystal seas is excellent for swimming and water sports, while the island is also flourishing with sightseeing, including Byzantine churches and Venetian castles. The most popular tourist places are Paleokastritsa, Sidari and Kassiopi, while Corfu Town is a cosmopolitan destination with vibrant nightlife and traditional character. 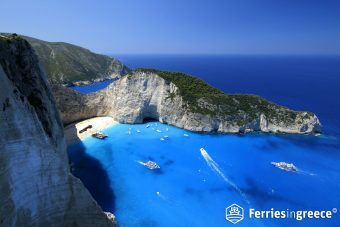 Getting there is possible by boarding a ferry to Corfu from the port of Igoumenitsa in the Greek mainland and also from Italy. 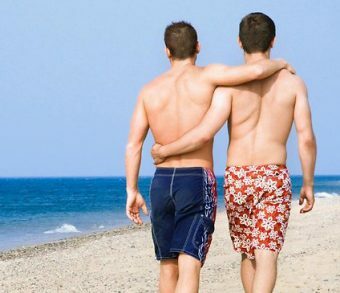 With thousands of tourists storming its magnificent beaches, Rhodes is among the most popular must see islands in Greece. All around the island are amazing beaches, ideal for swimming, snorkeling and windsurfing. Rhodes Town is a Medieval settlement, very well-preserved, where visitors can do a lot of sightseeing and experience a cosmopolitan attitude. Many bars, clubs and excellent restaurants can be found in Town. 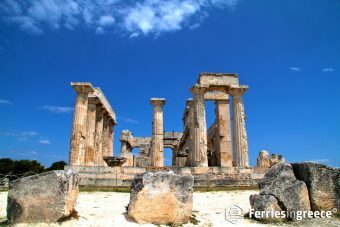 Reaching the island with a ferry to Rhodes from Athens is a long trip (about 16-218 hours), so passengers are advised to book a cabin. Do not miss out on visiting the picturesque island of Symi by ferry. Being the largest island of Greece, Crete is a top holiday destination. It is located on the southern part of the Aegean Sea and has seen the base of many great civilizations, traces of which are still found on the island, such as Minoan palaces, Venetian castles, Ottoman mosques and Byzantine churches. Crete consists of 4 administrative prefectures, Chania, Rethymno, Heraklion and Lassithi, each with unique characteristics. All along the coastline of Crete are wonderful beaches, sandy or pebbled, with diverse landscape. Holidays in Crete is an amazing experience, as it gives visitors the opportunity to explore stunning beaches with crystal waters, deep gorges, verdant valleys and great mountains, plus enjoy traditional hospitality combined with modern facilities. 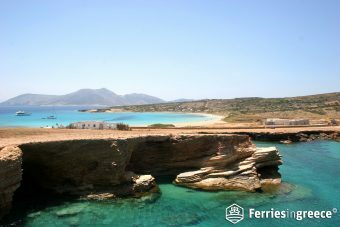 Greek ferries depart from Piraeus and arrive in two main ports of Crete: Chania and Heraklion. Ferries to Chania are usually overnight and an additional day trip is added in high season. ferris to Heraklion are more frequent, with 3-4 schedules per day.